Part 1: ELECTRIC MOTORS. 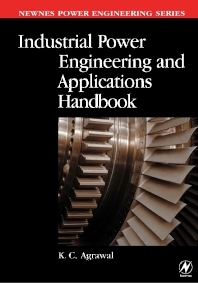 Theory, Performance and Constructional Features Of Induction Motors; Motor Torque, Load Torque and Selection Of Motors; Duties Of Induction Motors; Starting Of Squirrel Cage Induction Motors; Starting and Control Of Slip-Ring Induction Motors; Static Control and Braking Of Motors; Special Purpose Motors; Transmission Of Load and Suitability Of Bearings; Winding Insulation and Its Maintenance; Installation and Maintenance Of Electric Motors; Philosophy Of Quality Systems and Testing Of Electrical Machines; Protection Of Electric Motors; A Few Rules of Thumb for day-to-day Use. Electrical, Plant and Facilities / Maintenance Engineers practicing in industry. Students, designers and equipment manufacturers. Independent Electrical Engineering Consultant with extensive experience within the industry as well as managing his own company handling similiar products.